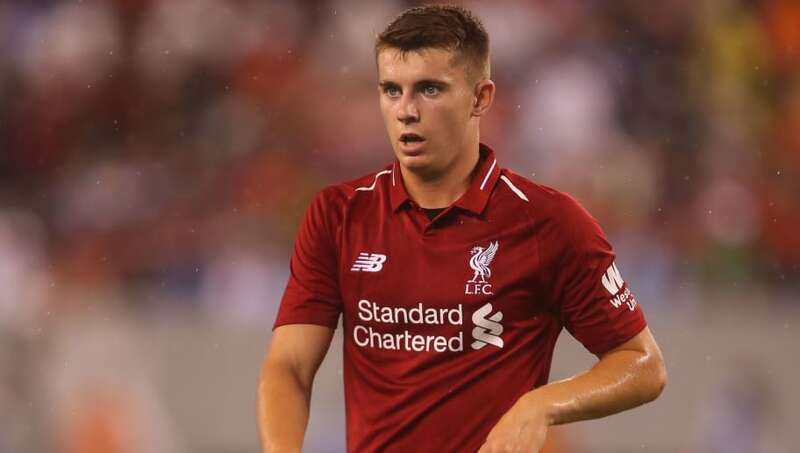 ​​Liverp​ool youngster Ben Woodburn will join Championship outfit ​Sheffield United on a season-long loan deal, the ​club has confirmed. Woodburn, 18, joins the Blades for the 2018/19 campaign with the view of gaining invaluable first team experience having seen his game time limited at Anfield due to the plethora of established players already at Jurgen Klopp's disposal. The Liverpool academy graduate was subject to interest from a host of ​Championship clubs looking to secure his services for the upcoming season, having risen through the Reds' ranks in emphatic fashion. Woodburn has made 11 senior appearances for Liverpool since being handed his substitute debut against ​Sunderland in November 2016, and quickly went on to become the club's all-time youngest goalscorer when he found the back of the net against ​Leeds United in the League Cup at just 17 years and 45 days old. On the international stage, Woodburn has also earned seven caps for Wales and scored his first goal to clinch victory against Austria on his debut in March of last year. Sheffield United boss Chris Wilder was delighted with the club's fourth acquisition of the summer as he told the Blades' ​official website: "Ben is a great signing for us, he is an exciting player with undoubted quality. "He's been involved with Liverpool throughout their pre-season and I'm delighted they've trusted us with one of their outstanding young prospects, who is a full international as a teenager. "It's his first loan move and I'm sure it will be a great one for all parties. He makes goals and score goals with both feet, he can play in a couple of attacking positions and gives us flexibility at the top of the pitch," he added.